Looking for nonprofit or community-based organizations in the Albany area and greater Capital Region? Find nonprofits, humane societies, and much more right here! Each Sunday, vendors, shoppers & friends gather at Schenectady Greenmarket and enjoy our festive marketplace with more than sixty vendors who produce everything they sell. Enjoy live music, prepared food, and the regions freshest local produce! 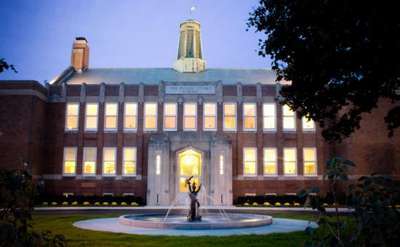 The Doane Stuart School, located in Rensselaer, NY, is one of the region's most prestigious college preparatory schools. Concerned For The Hungry, Inc. The mission of the Animal Protective Foundation is to address pet overpopulation and animal suffering through education and appropriate action, to enhance relationships between animals and people, and to provide care to animals in need. Capital District Habitat for Humanity, Inc.
Community Land Trust of Schenectady, Inc.
HeartsHerd welcomes visitors to their sanctuary for Wellness Days throughout the year and also accepts appointments. Their permanent residents include horses, cats, alpacas and other farm animals. Non-permanent residents are available for adoption. Schenectady-based dog rescue with dogs of all kinds. Find puppies to seniors from all breeds and all backgrounds. Adoption clinics are held every Saturday. Jack Falvo III Foundation of Schenectady, Inc. These animals are looking for their forever homes. The Capital District Humane Association takes surrendered pets and animals with special needs and helps find the right home for them. 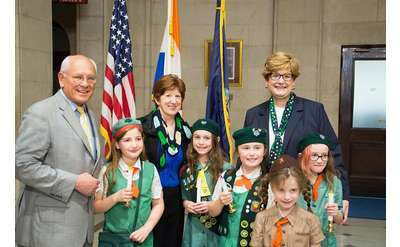 Since 1936, the Boys & Girls Clubs of Schenectady has grown to offer fantastic youth development programs to children in the Capital Region. The nonprofit organization promotes character development, health, leadership, and more. America's Edge members are key members of senior management who support high-quality, proven investments that strengthen businesses and establish a foundation for sustained economic growth, while helping get children on the right track. At Parsons Child & Family Care Center, we support children and their families as they create their futures. We are dedicated to learning, adapting, creating, and delivering the most effective services for children and families. The Crohn's & Colitis Foundation is the leading nonprofit organization aimed at improving the life of & finding a cure for the 1.4 million American adults and children living with Crohn's disease & colitis. Find golden retrievers and other dogs with good temperament at Peppertree Rescue. Adoption events are held most weekends at various Capital Region locations. You can also visit the rescue to see adoptable dogs. Animal rescue for cats and dogs in the Albany area. Cats can be viewed at the North Greenbush Healthy Pet Center during business hours. Dogs can be viewed during adoption clinics in the area. Cornell Cooperative Extension, Schenectady Co. The Bus Stop Club, Inc. The Bus Stop Club is an opportunity for siblings of children with a chronic illness or special needs to go under the care and supervision of healthcare workers and get the support they need to help overcome the everyday battles they are faced with. Niskayuna Community Action Program, Inc.
Brown School is an independent school located in Schenectady, NY. We believe we inspire students in grades nursery through eight to develop a love of learning. Our teachers work to stimulate discovery, imagination, and critical thinking. Headquartered in Albany, the Research Foundation of State University of New York (RF) is the largest most comprehensive university-connected research foundation in the country. Electric City Food Cooperative, Inc. Located on Main Street in the heart of picturesque Cooperstown, The Baseball Hall of Fame is one of the country's major tourist destinations and is surely the best-known sports shrine in the world. Visit the SPCA in Queensbury to find your next furry friend. Adoption clinics are held at the shelter in Queensbury during operation hours and the Wilton PetSmart on Saturdays. Adoptable cats can be viewed at the East Greenbush PetSmart. In addition to cat adoptions, AnimaLovers helps with trap/spay/neuter programs for feral cats and offers low-cost veterinary services including spay/neuter services. View adoptable cats and kittens from Noah's Kingdom at the Crossgates Commons PetSmart store. Noah's Kingdom rescues cats from traditional shelters and houses them until they find their new family. The Boys and Girls Clubs of the Capital Area serves youth within Albany County and Rensselaer County by providing them with quality programs and guidance.